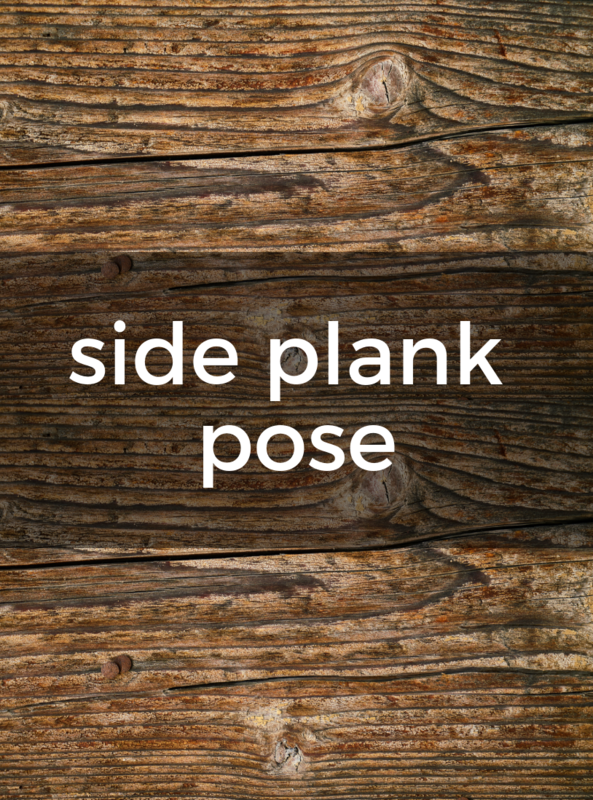 1) From Plank Pose, shift your weight onto your right arm as you roll onto the outside of your right foot. 2) Keeping the both feet flexed, stack the left foot on top of the right with the legs very straight. 3) Bring the left arm up to the ceiling and the gaze to the left fingertips. 4) After several breaths, roll back the center and do the other side, resting in Downward Facing Dog between the two sides if you like.